This reports lets you select multiple documents or use a wildcard and pulls completed jobs that do NOT have them attached. 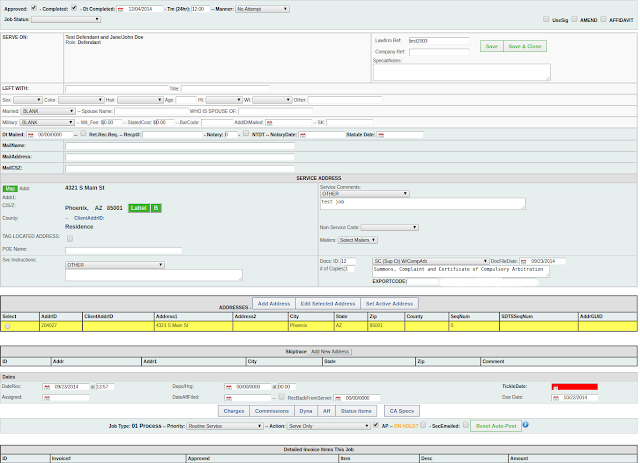 You can filter by multiple job types, multiple manners and multiple client price codes. You can very quickly find completed jobs with no affidavits scanned, or other documents not scanned with this report. Being able to find things that did NOT happen is huge. Thank you to our customers for asking for this one, we love your input!